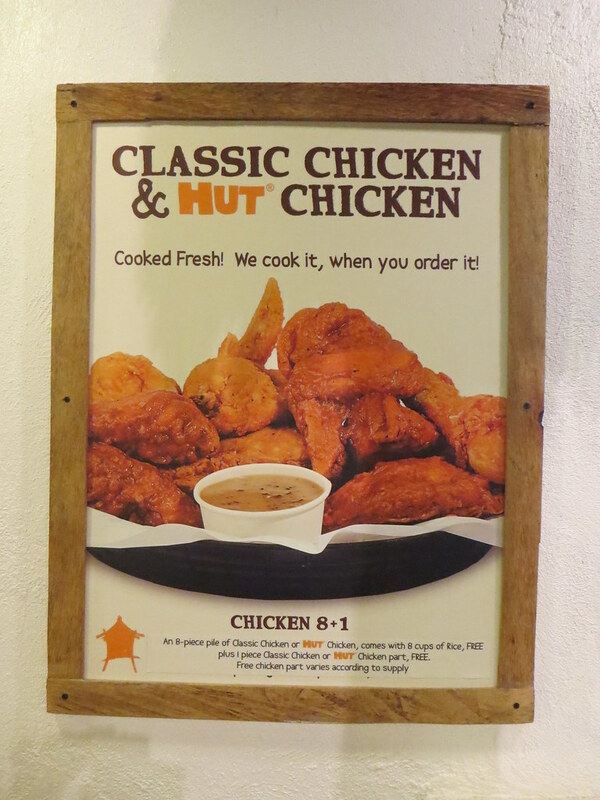 Coco Hut Fried Chicken and Fish in Commercenter Alabang. While Jollibee was having its Chicken Joy fiasco, I wanted fried chicken so T and I tried CocoHut Fried Chicken and Fish in Commercenter Alabang. 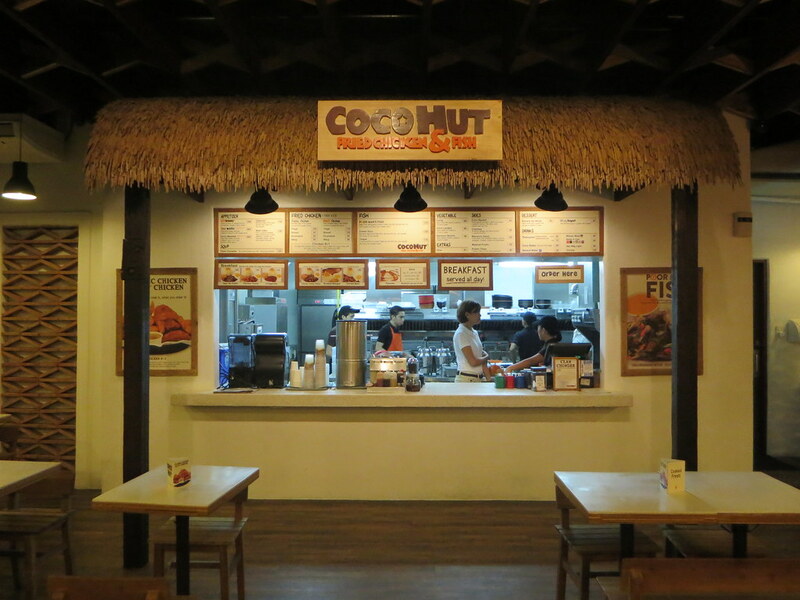 CocoHut is just opposite Army Navy and seem to have the same owners because the decors are similar. 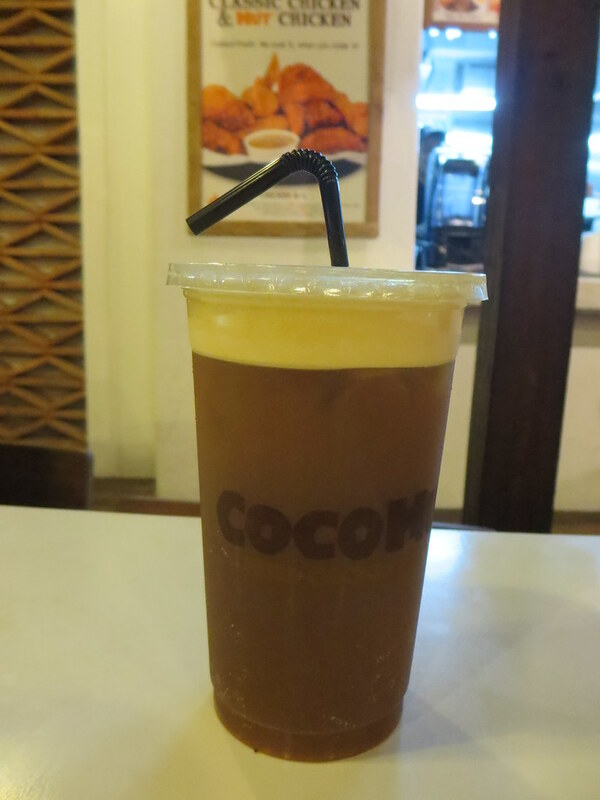 For his drink, T got a large Teamarind (P75/$1.75) which tastes like Army Navy's iced tea but the subdued version of it, with a hint of tamarind. 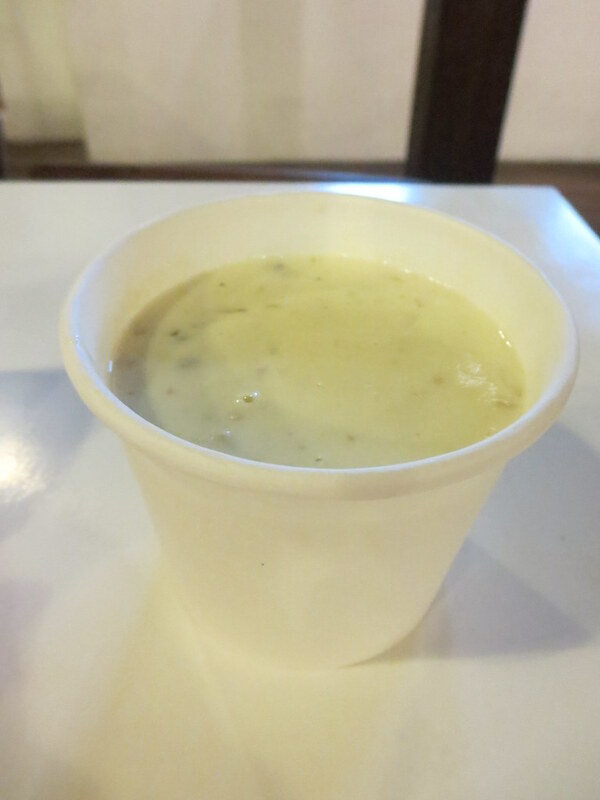 I ordered a cup of Clam Chowder (P120) which is rich cream-based soup with clams and potatoes. The chowder lacks flavor but I like how they didn't scrimp on the clams and potatoes. 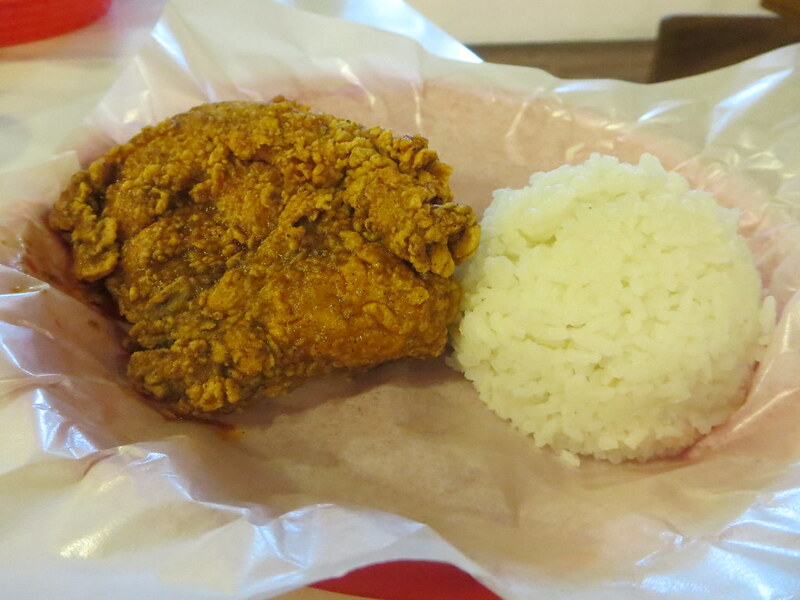 I got the Hut Chicken - Breast (P105/$2.50) which is spicy breaded deep fried chicken tossed in special hot sauce. 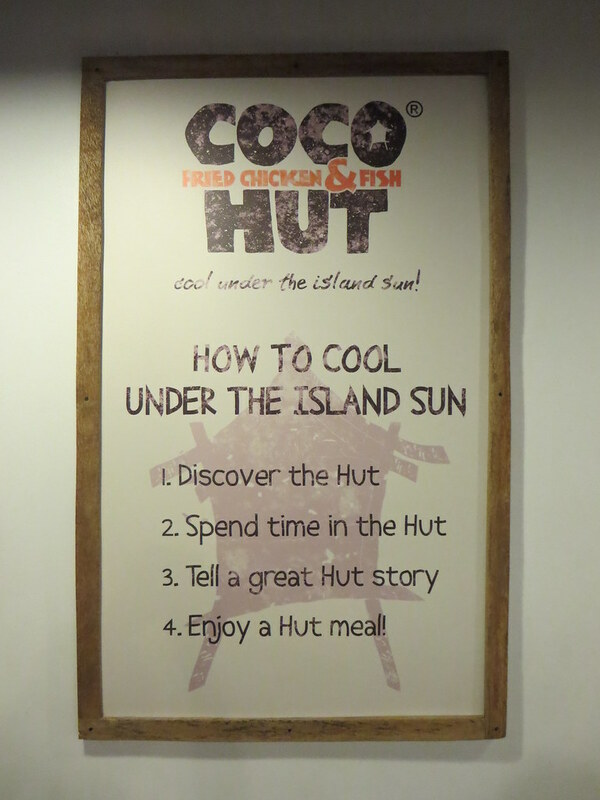 I don't eat any chicken part except breast so I'm happy that you can actually choose what part you want here in CocoHut, unlike in other restaurants. This dish doesn't come with gravy because the chicken is spicy already. 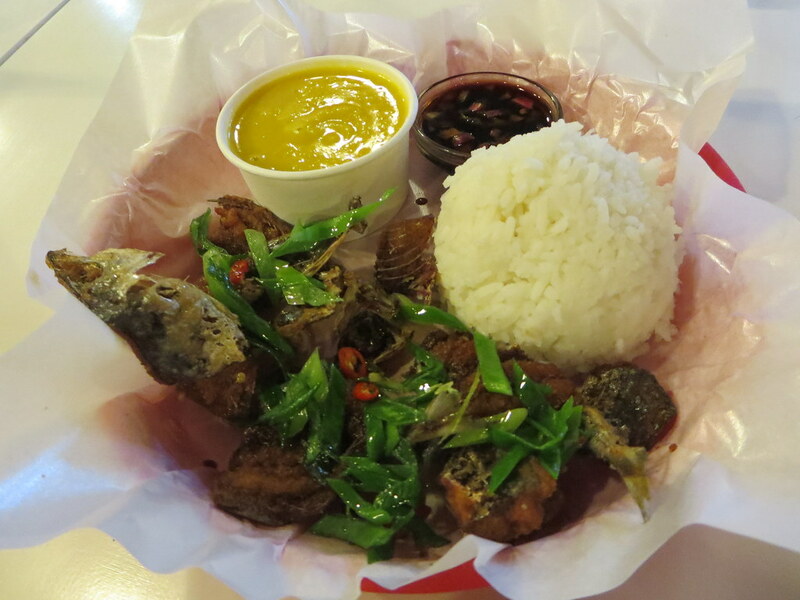 T ordered Poor Man's Fish (P175/$4) which is deep fried Galunggong tossed in leeks and chili, served with rice, coco squash, and spicy soy vinegar. T really likes this and made me try it. I like how the fish is the crunchy type that you can eat whole and not worry about the bones. The squash soup is really good, too. I'll probably get this next time we visit. Someone's hungry! 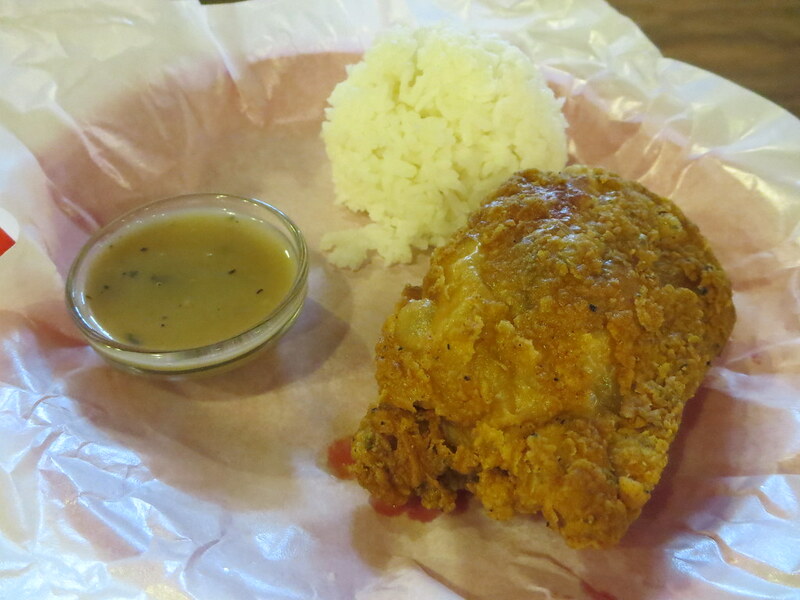 T also got Classic Fried Chicken - Breast (P95/$2.20) which is breaded deep fried chicken served with pepper gravy. I tried this and found it just ok, even with the gravy. 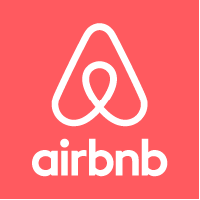 They cook the food when you order it so you're not eating reheated food. Can choose the chicken part to order. It's not the best fried chicken I've had but Coco Place is a "healthier" (I'm using quotation marks since it's still deep fried) alternative than getting fast food in the wee hours of the night when everything is closed. A fried chicken place that cooks everything to order is impressive enough, but they cook to order 24 hours a day?? That's enough to enter my top ranks!